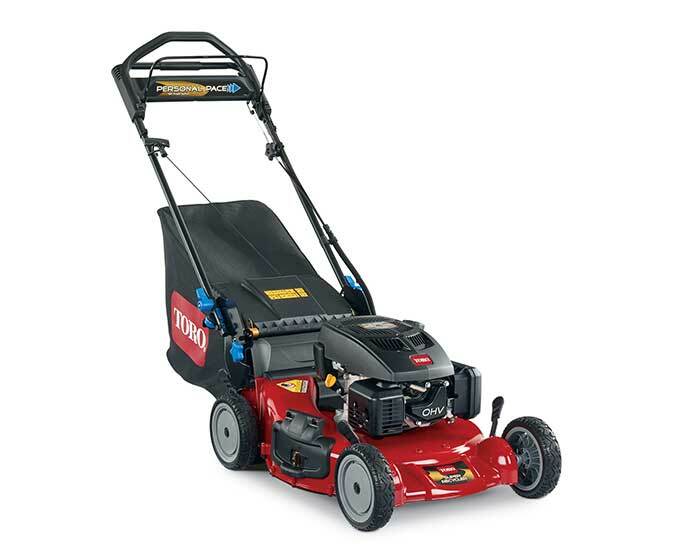 Toro Recycler Walk Behind Lawn Mower 21381 with a 21-inch cutting deck and 7.25 ft-lb Gross Torque Toro TXP 159cc OHV engine with AutoChoke is powerful and efficient. An exclusive Personal Pace self-propel system automatically senses and adapts to your walking speed. This mower features a durable, rust- free cast aluminum deck that converts from mulching, side discharging, or rear bagging without tools, and a deck washout port to clean the bottom of the deck while maintaining maximum airflow for high performance. Use the quick stow storage handle to store the mower upright in tight spaces.